GWTT installed an 1800-linear-foot influent piping system for a groundwater treatment plant on an active facility site. 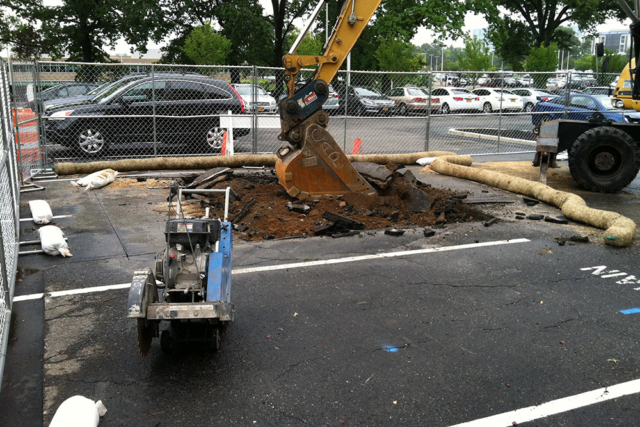 The piping was primarily dual-contained HDPE with a continuous leak detection cable. 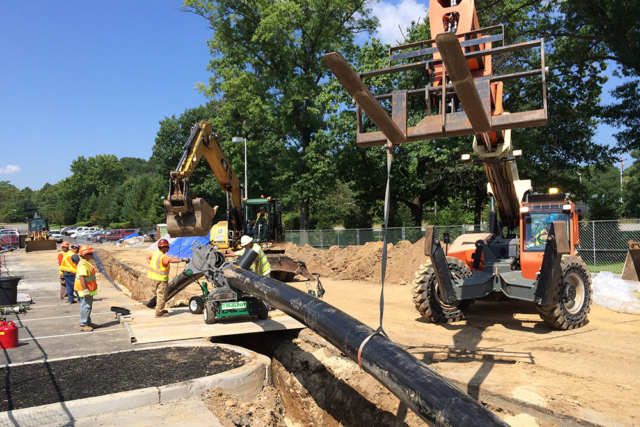 Additionally, GWTT installed 2 air release manholes, performed all mechanical connections for 3 existing wells within their vaults, and was responsible for installation of all power, control, and fiber optic lines in a concrete duct bank along entire pipe alignment. Hydraulic shoring and trench boxes were required through portions of the trench. The excavation work required locating numerous active utilities and adjusting designed pipe profile in the field accordingly, as well as the relocation of existing utilities. 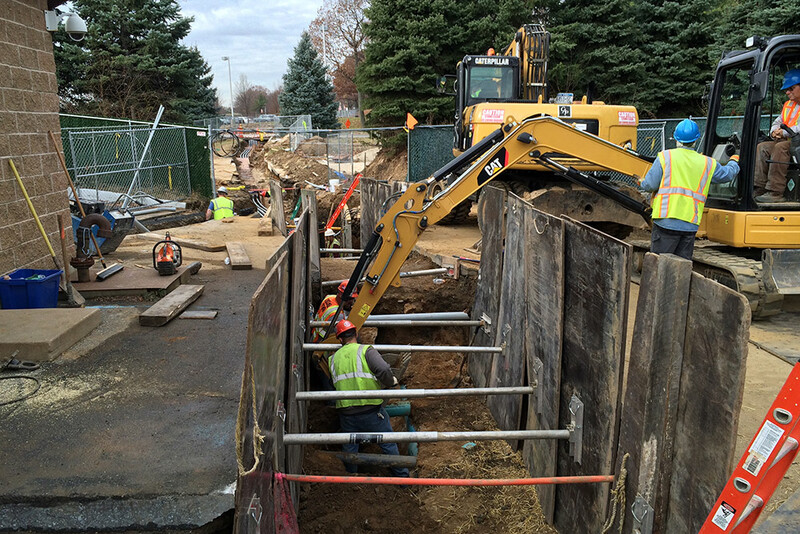 GWTT was responsible for the excavation, handling, and disposal of more than 2000 tons of contaminated soil. 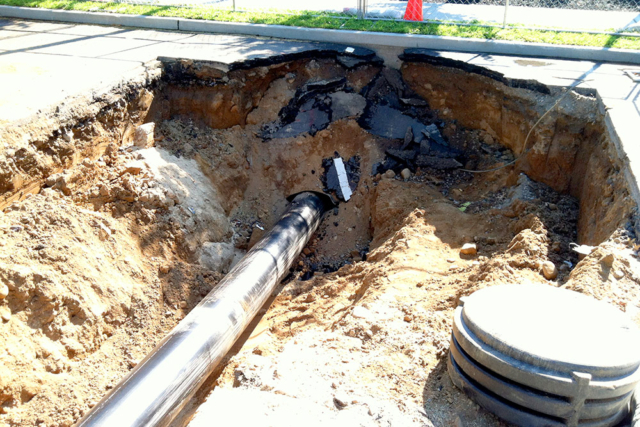 the project work was performed on an active facility roadway that required ongoing coordination regarding shutdowns and detours.